Yet another classic comic from xkcd. 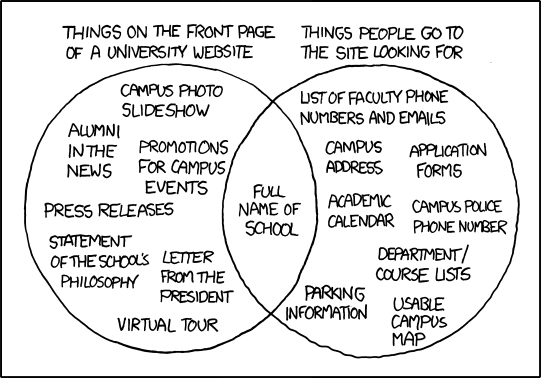 Universities are usually the champions of logic and excellence, but their websites are another story altogether. This diagram needs to be posted at all schools.